The chart above shows the upcoming FHA MIP changes that are coming April 1, 2013 and June 3, 2013. The annual or monthly MIP amount will increase from 1.25% to 1.35% on April 1. The MIP duration will change from 78% LTV and 5 year minimum to Life of Loan on June 3. Any case numbers (appraisals ordered) after these dates will reflect the changes. Good afternoon West Ashley Agents. Some of you may have heard about FHA’s recent changes to “bolster” their capital reserves. The annual MIP (mortgage insurance premium) will increase by 0.10 percent. Taking it to 1.25% on most loans. The upfront MIP will increase by 0.75 percent. Taking it to 1.75%. This is a change that applies to all lenders. This takes effect with new case number dates assigned April 1st, 2012 or later. **Important to April and May closings. Case numbers are tied to property addresses so a ratified contract is our trigger to order the case number. If the customer chooses to get an FHA mortgage, please make sure we have a ratified contract ASAP and prior to April 1st. This will enable your client to potentially take advantage of the “old” and lower priced MI rates. Below is a link for the full article if you’d like to read it. Please feel free to call or reply anytime if you have any questions. Fixed rate loans generally come with one of two options; the 30-Year Fixed and the 15-Year Fixed. If a borrower is planning on being in the same home for a long period of time, a 30-Year Fixed may be more attractive because it offers stability. The monthly payment will remain consistent over the life of the loan. If interest rates are at historic lows at the time the borrower is seeking to obtain financing, this is a good program to consider. A 15-Year Fixed loan program offers the same stability, but the accelerated amortization schedule makes the monthly payment substantially higher. While the interest rate may be lower on this type of loan, the borrower must be willing to commit to a higher monthly payment. If the borrower wishes to retire in 15 years and be debt-free at that time, this loan program may be more suitable to the borrower&apos;s long-term needs. It is also possible to make pre-payments on a 30-Year loan and reduce the life of the loan, as well as the overall interest payment, without committing to the higher monthly payment of a 15-Year program. As long as there is no pre-payment penalty associated with the 30-Year mortgage, pre-payment offers the borrower the latitude to make additional payments when it is affordable. If cash flow becomes difficult, this arrangement will not put the borrower in a compromising position. It&apos;s finally happened: You&apos;ve found the perfect home for your clients. Their financing is in place. But then…despite the comparables….the appraisal comes back low, threatening to ruin the whole deal. 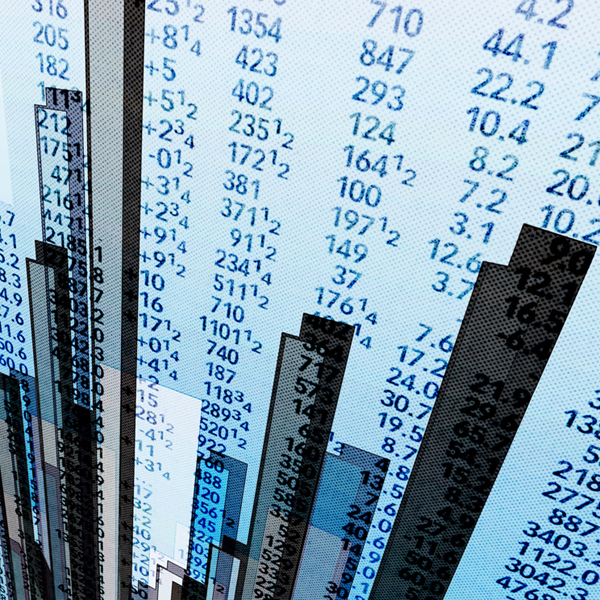 To help make appraisals more consistent and accurate, and prevent situations like this in the future, the Federal Housing Finance Agency has directed Fannie Mae and Freddie Mac to develop the Uniform Appraisal Dataset (UAD). The UAD will (1) define what fields are required for an appraisal submission and (2) standardize both responses and definitions for certain fields. Days on the Market: Days on market is now defined as the total number of continuous days. If a property is taken off the market and then relisted, the appraiser will have to count all of the days it has been listed. Offering Price: The original offering price and history of all price changes must be reported. Property Style: Appraisers must use appropriate architectural design indicators such as "Colonial," "Farmhouse," etc. Descriptions such as 1 story, 2 stories, etc are no longer acceptable. Condition of the Subject Property: An overall condition rating must be assigned from the predefined condition categories provided. Quality of Construction: The appraiser must rate the quality of construction of the subject property and all comps using a list of 6 predefined quality levels. The UAD appraisal standards are required for all appraisals conducted for conventional loans sold to Fannie Mae and Freddie Mac. To read FAQs about the UAD appraisal standards, visit https://www.efanniemae.com/sf/lqi/umdp/pdf/uadfaqs.pdf. You can also call or email me any time if you have any questions. I&apos;m always happy to help in any way I can. With identity theft on the rise, consumers are becoming increasingly aware of the importance of reviewing their credit reports. However, their thoughts about credit and its long-term impact upon their financial future typically end there until it&apos;s time to apply for a home loan. 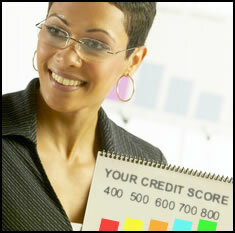 A credit score is used to evaluate how likely a borrower is to repay their loan. There are several actions a person can take to impact their score. Here are a few to keep in mind. If someone has a credit card which has a high balance, while their remaining credit cards have low or zero balances, it&apos;s best to distribute the debt across the cards in order to change the ratio of debt to available credit. Many consumers believe that they should close an existing credit card account if the card is inactive. It&apos;s better to keep the account open and use it periodically in order to take advantage of its contribution to their long-term credit history. With the flood of credit card offers that come in the mail, it may be tempting to open new accounts. However, these "pre-approved" offers are not approved until the companies run a credit report which will temporarily impact the applicant&apos;s credit score. In addition, experts recommend that a person maintain between two to five credit card accounts, total, so it&apos;s best to avoid accumulating too many. There are several factors that contribute to a credit score. But by observing the tips above, as well as making payments on time and keeping balances as low as possible, a consumer is sure to achieve superior results. Mortgage Interest Rates*The 1% origination fee has been waived for all options. *Rates are subject to change due to market fluctuations and borrower&apos;s eligibility. Payment amounts do not include amounts for taxes and insurance. Actual payments will be higher. The UAD appraisal standards are required for all appraisals conducted on or after September 1, 2011 for conventional loans sold to Fannie Mae and Freddie Mac. Don&apos;t Make That Big Deposit or Transfer ! What You Need to Know If You&apos;re Buying a Home! You&apos;ve probably heard the saying, "When you fail to plan, you plan to fail." That is especially true when it comes to buying a home today. Underwriters are following strict guidelines–and that means even things like bank deposits and transfers are under scrutiny. Here&apos;s some insight on how underwriters analyze bank statements…and what you need to know and do (or not do) during the loan process. Today, many banks require an explanation and proof of source of funds for any large non-payroll deposits that are listed on a bank statement. What is deemed a large deposit is largely determined by the underwriter and can be as low as a few hundred dollars. The reason for the underwriter&apos;s concern is that an applicant may be borrowing money from individuals, or accepting money from an interested party to the transaction, to help with the settlement costs. It&apos;s easy to see how this bank requirement can create a lot of frustration, especially for people who are used to moving money between their accounts, which many of us do today. The key thing to remember is that anyone applying for a mortgage should avoid transferring money between accounts or making large non-payroll deposits during the home buying or selling period. While that may feel like an inconvenience, the time and headache you&apos;ll save yourself from having to account for all your deposits will be worth it. Let me know if you have any questions at all about this or if there&apos;s anything I can do to help you at this time! When it comes to buying a home, consumers can no longer shop for a mortgage based simply on lowest interest rate quotes. Today&apos;s home buyer needs good advice from an experienced, educated mortgage professional who has the consumer&apos;s best interest in mind. For consumers, this means beware of anyone who quotes you an interest rate over the phone or the Internet without asking anything about you, your family, your finances or your lifestyle. Besides market conditions, your mortgage rate is based on a long list of criteria that are unique to your individual financial situation. Look at the list below of 26 different criteria that affect your mortgage rate. How can anyone quote you an interest rate you can trust without a thorough knowledge of your unique financial situation? Please feel free to call or email me anytime. I will analyze your buyer’s needs and offer a combination of loan programs and interest rates that best suits their needs. *Rates are subject to change due to market fluctuations and borrower&apos;s eligibility. Interest rates change constantly, but it is important to know that rates are cyclical. If rates are currently at historical lows then we know there is a strong probability rates will go up again, and vice versa. Certain economic indicators such as unemployment data, consumer price index, retail sales data, and consumer confidence all have an effect on mortgage interest rates. But the key factor to watch is the relationship between stocks and bonds. When the economy is slow and the stock market is "bearish," many investors move money out of stocks and into bonds and mortgage-backed securities. This causes mortgage interest rates to go down. When the economy is doing well, the stock market rallies and is considered "bullish." Investors then have a tendency to move their money out of that safe haven of bonds and mortgage-backed securities and back into stocks. As a result, mortgage interest rates go up. My team and I keep a close eye on mortgage interest rates at all times in an effort to alert our clientele of opportunities to obtain lower financing. Introduction: This topic contains information on the prohibition on property flipping, including. 8. Exceptions to the 90-day restriction. The term property flipping refers to a practice whereby recently acquired property is resold for a considerable profit with an artificially inflated value, often abetted by a lender&apos;s collusion with an appraiser. The restrictions listed in this topic, and in 24 CFR 203.37a do not apply to a builder selling a newly built home or building a home for a borrower wishing to use FHA-insured financing. 3. The lender must obtain, and submit in the case binder to HUD, documentation verifying that the seller is the owner or record. 3. Other documentation, such as a copy of a property tax bill, title commitment or binder, demonstrating the seller&apos;s ownership of the property and the date it was acquired. Note: This requirement applies to all FHA purchase money mortgages, regardless of the time between resales. To be in compliance with updated Standard Rule 1-5 of the Uniform Standards of Professional Appraisal Practice (USPAP), appraisers are required to analyze any prior sales of a subject property in the previous three years for one to four family residential properties. Mortgage lenders may rely on the information provided by the appraiser in the Uniform Residential Appraisal Report (URAR) describing the Date, Price and Data for Prior Sales for the subject property within the last three years. If a property is re-sold 90 days or fewer following the date of acquisition by the seller, the property is not eligible for a mortgage insured by FHA. 2. Resale date as the date of execution of the sales contract by a buyer intending to finance the property with an FHA-insured loan. 2. The resale price is 100% or more over the price paid by the seller when the property was acquired. FHA reserves the right to revise the resale percentage level at which this second appraisal is required by publishing a notice in the Federal Register. Example: If a property is re-sold for $80,000 within six months of the seller&apos;s acquisition of that property for $40,000, the lender must obtain a second independent appraisal supporting the $80,000 sales price. Even if the lender provides documentation showing the cost and extent of rehabilitation that went into the property resulting in the increased value, the second appraisal is still required. Note: The cost of the second appraisal may not be charged to the borrower. 2. The resale price is 5% or greater than the lowest sale price of the property during the preceding 12 months. At FHA&apos;s discretion, such documentation may include, but is not limited to, an appraisal from another appraiser. 7. Sales of properties within Presidentially Declared Disaster Areas. Any subsequent resales of the properties described above must meet the 90-day threshold in order for the mortgage to be eligible as security for FHA insurance. Note: Homeownership Centers (HOCs) do not have the authority to waive the 90-day resale restriction because it is a regulatory requirement and not an administrative policy. What Closing Costs are allowable For the Buyer to Pay When Doing FHA Financing? Listed below are the customary and reasonable fees and charges that may be collected from the borrower by the lender. The cost for any item charged to the borrower must not exceed the cost paid by the lender or charged to the lender by the service provider. A. Appraisal Fee and Inspection Fee. The borrower may be charged an appraisal fee. Borrowers may only be charged a pro rata appraisal fee on Master CRVs (MCRVs) or MARs since the fee charged by the appraiser is for all lots covered. This fee may not exceed the actual appraisal fee, divided by the number of lots covered by the appraisal. Inspection fees may be collected from the borrower for any inspections that must be conducted on the property. B. Credit Reports (Actual Costs). The lender can charge a fee for a credit report when the loan is manually underwritten, and it also may charge a fee for Automated Underwriting System (AUS) credit reports. C. AUS Fee. When the lender uses an AUS that is not the lender&apos;s own system or a system directly/indirectly owned by the lender, the lender may collect from the borrower the underwriting fee charged to the lender by the AUS. The lender can collect only one AUS underwriting fee from the borrower. D. Verification Charges. The borrower may be charged only the actual charges imposed by the depository institution, employer, or property management firm, etc. E. Origination Fee. The borrower may be charged an origination fee in accordance with 24 CFR 203.27. HUD is reviewing this regulation for possible amendment. F. Home Inspection Fees. Home inspection fees up to $300, or the actual cost, may be included as closing costs in meeting the borrower&apos;s minimum investment. G. Document Preparation Fees. Document preparation fees may be charged only if the documents are prepared by a third-party and are not controlled by the lender. The lender may not charge these fees if it prepares documents itself. H. Property Survey Fees. The borrower may be charged property survey fees, although they are not required by FHA. I. Title Examination and Title Insurance Fees. The borrower may be charged title examination and title insurance fees, although they are not required by FHA. J. Attorney&apos;s Fees. The borrower may be charged attorney&apos;s fees, only if the attorney is not an employee of the lender. K. Settlement Fees. The borrower may be charged settlement fees, only if the closing agent is not an employee of the lender. A fee may be charged if the settlement agent is an independent company or a subsidiary that regularly closes loans for several different lenders. L. Real Estate Broker&apos;s Fees (Buyer Broker). The borrower may be charged real estate broker&apos;s fees, only if the borrower engages the broker independently and the fees are reasonable and customary. However, if the broker is not independently engaged, no fees may be charged to the borrower. See HUD Handbook 4155.1 for additional information. M. Recording Fees and Taxes. The borrower may be charged recording fees and taxes that are customary or required in the area. N. Test or Treatment Fees. The borrower may be charged test or treatment fees that are required by FHA or the lender. These fees include tests of water supplies, soil percolation tests for individual septic systems, or testing for or treating insect infestation. O. Courier/Wire/Notary Fees. Courier fees and wire fees may be charged only on refinances and only for delivery of the mortgage payoff statement to the lien holder and for closing documents to the settlement agent. The borrower must agree in writing to pay for the courier and wire fees, prior to loan closing. Notary fees may be charged if notarization is required by state law and is performed by a notary who is not employed by the lender. 1. Discount Points. Discount points charged by the lender on a purchase transaction may be charged to the buyer but may not be financed into the mortgage amount. On refinance transactions, reasonable discount points may be financed into the mortgage amount subject to equity requirements and other restrictions applied to refinances. 2. Lock-Ins/Rate Locks. A written guarantee that ensures the loan terms will not change for a definite period of time (not less than 15 days) or that limits the extent to which the terms may change. See paragraph 1-9 of this handbook for additional information. The appropriate HOC may authorize or reject any other charge or the amount of any charge, based on what is reasonable and customary in the area. All of these closing costs are negotiable for the buyer to pay. However the seller is also allowed to pay them. The borrower must have 3.5% invested and that is the down payment amount. The actual dollar amount to be inserted in the amendatory clause is the sales price stated in the contract. If the borrower and seller agree to adjust the sales price in response to an appraised value that is less than the sales price, a new amendatory clause is not required. However, the loan application package must include the original sales contract with the same price as shown in the amendatory clause, along with the revised or amended sales contract. There are minimum property standards for existing and proposed construction. A property is considered "existing construction" if it was completed more than one year prior to application. See HUD Handbooks 4905.1 and 4910.1 for additional information on existing and proposed construction, respectively. Underwriters bear primary responsibility for determining eligibility of a property for FHA mortgage insurance. However, the FHA appraiser is the on-site representative for the Mortgagee and provides preliminary verification that these standards have been met. The "Notice to the Lender" requires the FHA appraiser to report the physical conditions that are readily observable on the date of the site visit and to detail the repairs needed to establish and/or maintain the marketability of the property, protect the health and safety of the occupants, and protect the security of the property. These criteria must be addressed by the Mortgagee before closing. When examination of existing construction reveals noncompliance with the General Acceptability Criteria, an appropriate specific condition to correct the deficiency is required if correction is feasible. If correction is not feasible and only major repairs or alterations can effect compliance, the Mortgagee will reject the property. A. Eligible Houses. Detached, semidetached, row houses, multiplex and individual condominium dwellings are eligible. If it is not detached, the dwelling must be separated from an adjoining dwelling by a party or lot line wall extending the full height of the building. Each living unit must be individually accessible for use and maintenance without trespass on adjoining properties. B. Site Conditions. The property must be free of health and safety hazards. C. Flood Hazard Areas. The Mortgagee is responsible for determining the eligibility of properties in flood hazard areas and relies upon the FHA appraiser&apos;s notation on the URAR form. 1. Proposed and New Construction. If any portion of the property improvements (the dwelling and related structures/equipment essential to the value of the property and subject to flood damage) is located within a special flood hazard area (SFHA) designated by the Federal Emergency Management Agency (FEMA), the property is not eligible for FHA mortgage insurance unless: (1) a final Letter of Map Amendment (LOMA) or final Letter of Map Revision (LOMR) that removed the property from the SFHA location is obtained from FEMA or (2) if the property is not removed from the SFHA location by a LOMA or LOMR, the lender obtains a FEMA National Flood Insurance Program Elevation Certificate (form FEMA 81-31) ("flood elevation certificate") documenting that the lowest floor (including the basement) of the residential building and related improvements to the property is built at or above the 100 year flood elevation in compliance with the National Flood Insurance program criteria (see 44 CFR 60.3 through 60.6). National flood insurance is not required if a LOMA or LOMR is obtained but is required when a flood elevation certificate documents that the property remains located within the SFHA. The LOMA, LOMR, or flood elevation certificate must be submitted with the case for endorsement. If the lender is uncertain about whether the property is located within a SFHA, it may require a flood elevation certificate. In addition, the lender has discretion to require national flood insurance even if the residential building and related improvements to the property are not located within the SFHA, but the lender has reason to believe that the building and related improvements to the property may be vulnerable to damage from flooding. 2. Existing Construction. Flood insurance must be obtained and maintained for an existing property with any portion of the residential buildings located in a special flood hazard area. 3. Insurance Amount Required. National flood insurance must be maintained in an amount equal to the least of the following: (1) the cost of the improved property (less estimated land costs); (2) the maximum limit of coverage made under the National Flood Insurance Act of 1968; or (3) the outstanding principal balance of the loan. Flood insurance is required for the term of the loan. If the buildings are located within a special flood hazard area (SFHA) and insurance under the National Flood Insurance Program is not available within a community, the property is not eligible for FHA mortgage insurance. See HUD Handbooks 4150.1 and 4150.2 for additional information. E. Lead-Based Paint Hazard. If the property was built before 1978, the seller must disclose known information on lead-based paint and lead-based paint hazards before selling the house. Sales contracts must include a disclosure form about lead-based paint. Buyers have up to 10 days to check for lead. HUD may insure a mortgage on a house even with lead-based paint if defective paint surfaces are treated. HUD will not pay the cost to have the lead-based paint removed, treated, or repaired. G. Access. There must be vehicular access to the property by means of an abutting all-weather public or private street. If private, there must be a permanent easement and provisions for permanent maintenance. Each property must have access to its rear yard. No economic reports today. Continued fighting in Libya is moving money, at least on the short term, to Bonds. Oil at $105.23/bbl…up .24 cents. Have a GREAT DAY EVERYONE…..CALL ME I AM HERE TO HELP!!! Pend Homes sales fall 2.8% vs -3.2%, Chicago PMI at 71.2, highest since 1988, Inflation tame as evidenced by the Core PCE for January at 0.1%, inline with estimates. Housing Starts came in hotter than expected along with PPI (the sign of inflation) came in about expectation. What does this mean, today the bond market will sell of thereby lowering the value of Bonds and raising the rates on mortgages. Stay tone for further developments. Last week was a tough week in Mortgage Backed Securities losing 200bps for the week. Yesterday finished the day down -12bps. How is it starting today, down -19bps. If you have customers waiting for the rates to fall lower that time has passed. It is time for them to come out and by a home J.
Today’s Quote: “Courage – a perfect sensibility of the measure of danger, and a mental willingness to endure it.” – William Tecumseh Sherman. Do you know the significance of General Sherman today? China’s central bank raised rates again in an effort to slow down China’s increasing inflation rate. Brazil, you know Beaches, Rio, World Cup Soccer, did you know Brazil’s consumer prices rose at their fastest pace in the last 6 years. Remember, this is a country in the 1980’s that struggled with 69% monthly inflation. Keep your eyes on this…..of course there is this to consider….while there is inflation their currentcy is losing value. If you ever wanted to go to Brazil….well it might be a good time J. There are some changes on the rate sheet today. Remember I talked about with the turmoil in Egypt Bonds provide a safe haven….well forget that. In a world of “what have you do for me today” Stocks did very well. While some earnings report where off from their estimates, most either met or bet Wall Street. So no there is a flood of many back to Stocks. So in the infamous words of Cuba Goodings, Jr in Jerry McQuire, “Show me the money!”. More insight: global economic recovery and growth continues to expand, and as it does, rates will gradually move higher over time. And don&apos;t forget the Fed&apos;s goals of QE2 – boost Stock prices, create inflation and lower the unemployment rate – these are all unfriendly to Bonds, and as the old trading saying goes…"Don&apos;t Fight the Fed". If the Fed wants to accomplish these goals at the expense of Bonds, well – they probably will. The opportunity in 2011 is really amazing. Today’s lending environment dictates that the mortgage application is more complex and detailed than ever. The mortgage application now has many steps that lenders, underwriters, mortgage insures must complete before the home buyer truly has financing in place. 1. The first step in the mortgage process is the determination of your price range. The two most important factors are what your monthly mortgage payment will be and what your total debt load is relative to your total income. As a home buyer you should also take into consideration additional expenses such as property taxes, mortgage insurance, homeowners insurance, home maintenance expenses, HOA dues, and utilities. 2. Once your price range and monthly payment has been determined the next step is to decide the type of mortgage is best for you. For example if your down payment is large enough to qualify for a conventional loan, usually 20% of the purchase price, you may qualify for a FHA loan which requires 3.5%, or you may qualify for a local or national loan program which may require even less of a down payment such as a VA or USDA Rural loan. Mortgage options and requirements are always changing so as a direct lender (a bank) about current options. 3. Interview at least three lenders to determine who you believe can serve you best and who provides excellent customer service. You Accredited Buyers Representative Realtor is an excellent source of lenders to check out. 4. Get pre approved for financing. This accomplishes two things; first you have determined the monthly mortgage payment you are comfortable with and secondly you know the price range to look for homes in. Keep in mind a preapproval does not guarantee you will get the mortgage. That will be determined after underwriting has reviewed and approved all mortgage application documents. 5. As soon as you have a property under contract commit to one lender to complete the mortgage process. Always submit any documentation requested by the lender as quickly as possible. Foreclosure activity fell in 14 of the top 20 U.S. metropolitan areas in the first quarter compared with a year earlier, even though total U.S. foreclosures rose, RealtyTrac said on Thursday. The declines in some big metro areas, however, reflected government efforts to stem foreclosures and did not indicate that the tide of foreclosures has turned, RealtyTrac said. The Sun Belt continued to lead in foreclosures, with four Sun Belt states accounting for all of the 20 metropolitan areas with the highest rates in the first quarter, the real estate data company said. But the majority of those top metro areas, with populations over 200,000, reported decreasing foreclosure activity compared with the first quarter of 2009, RealtyTrac, based in Irvine, California, said. California accounted for 10 out of the top 20 metro foreclosure rates, followed by Florida with seven, Nevada with two, and Arizona with one, RealtyTrac said in a quarterly report. Foreclosure activity declined on a year-over-year basis in eight of 10 biggest metro areas. "The decreasing foreclosure activity in some of the nation&apos;s top foreclosure hot spots in the first quarter is largely the result of government intervention and other non-market influences, and not a sure signal that those areas are out of the woods yet when it comes to foreclosures," James J. Saccacio, chief executive of RealtyTrac, said in a statement. He said a federal government program designed to encourage short sales, which was launched April 5, may have caused delays in the initiation of some foreclosures. In a short sale, a lender agrees to accept a sales price that is less than the amount owed on a mortgage. RealtyTrac said 77 percent of large U.S. metropolitan areas posted year-over-year increases in foreclosure activity. Foreclosure activity nationwide increased 16 percent from the first quarter of 2009. Las Vegas continued to post the highest foreclosure rate in the first quarter, with one in 28 housing units receiving a foreclosure filing, or 3.51 percent, 4.9 times the national average. The federal foreclosure prevention program has helped about 12 percent of borrowers who applied for help since the plans were announced a year ago, the Treasury Department says. About 1 million borrowers initiated the application process, and as of January, about 116,000 home owners–12 percent–had their loans modified. But administration officials say another 76,000 applications have been approved and are awaiting signatures. Another 830,500 home owners are currently in a trial modification review period during which banks make sure payments are feasible for the borrower and ensure the qualifications of the assistance program are met. For those who qualify, the Home Affordable Modification Program brings monthly loan payments down to 31 percent of home owners&apos; pre-tax income. Nearly 60,500 people have been denied permanent modifications. Will Rewarding Borrowers Prevent Defaults? Will paying underwater borrowers to keep meeting their mortgage obligations prevent them from walking away? Loan Value Group LLC says it is working with a major mortgage lender to test this theory. Here’s the plan: The mortgage investor offers a cash reward to borrowers to keep paying. The amount varies by borrower based on income, negative equity, geography, and other risk factors. The more likely a borrower will default, the bigger the carrot. The borrower can’t collect the payment until the mortgage is paid, although the rewards can be used to help pay off the mortgage if the property is sold. The plan keeps lenders from having to mark properties to market and take big losses. Frank Pallotta, a founder of Loan Value Group and former executive at Morgan Stanley and Credit Suisse, says the program will pay for itself if only a few borrowers stay put and keep paying.